Root vegetable trials using Nutrient Film Technique (NFT) is rarely tested by commercial greenhouse owners. This is because, the commercial value of root vegetables grown using hydroponic system is very low and not so popular. Our study was to see if the basic, low-cost NFT Hydroponic System can handle the growth of root vegetables with minimum expenses. Whereby, giving the AiGROW Home Unit or Self-sustaining Greenhouse owners to cultivate vegetables such as Beet for consumption. The challenge is to overcome rooting problems and fungi diseases that could impair plant growth. However, it is vital that the grow medium supports the plant until its roots are well formed, while ensuring the adequate space for the bulb to grow (approx. 4 inches in diameter) is provided. Initially there are two options, either use root cubes or cocopeat pellets to nurture the seed. Thereafter, move into the NFT system using a general-purpose nutrient solution designed for root vegetables. Managing air temperature is also a key aspect in making this possible. If it’s in partial sunlight, Grow-lights will not be a requirement, but if it is in an indoor environment, the use of Grow-lights 6-8 hours per day, will be an essential factor for the harvest to reach its full potential. 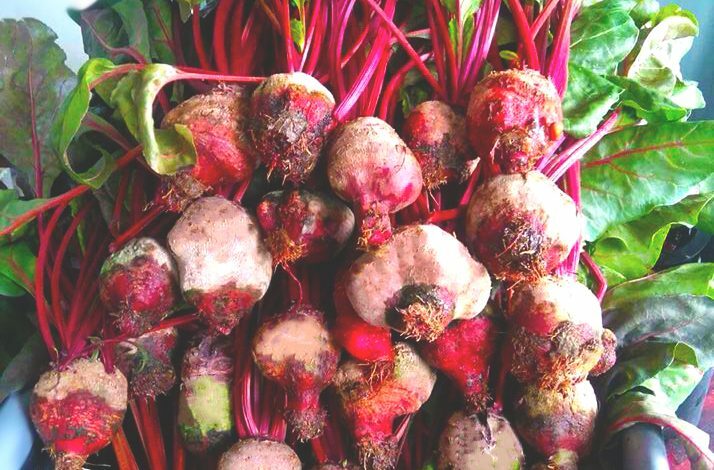 Iron deficiency is a common problem when growing Beets, because it is a heavy iron feeder. This can be balanced provided that, sufficient lighting, ideal spectrum and nutrients mix formula are all supplied to the plant, are in synch. However, Aeroponics methodology is also used as an alternative technique for root vegetables, carrying a very high success rate and it is applied in commercial operations. After running trials on root vegetables, the AiGROW team is happy to say that vegetables such as Beets can be grown in NFT systems, if the plant is nurtured and monitored with much care using the AiGROW Mobile App; good news for Home Unit owners! Copyright 2017 All rights reserved. Designed by VEGA.LK.